REI is the latest brand to declare war on Black Friday, with the outdoor retailer saying it will be closed the day after Thanksgiving this year, and will pay its 12,000 employees as though it were a regular workday, "so they can do what they love most—be outside." 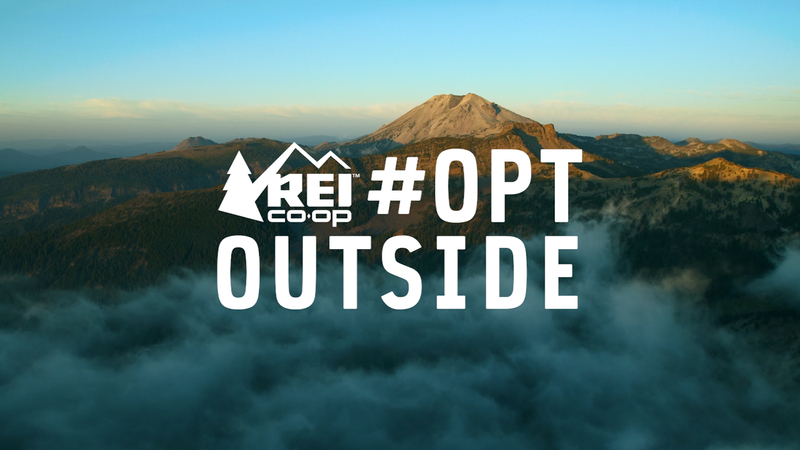 The campaign, called #OptOutside, was developed by a team of specialists drawn from Venables Bell & Partners, Edelman, Spark and REI. At its core is the decision to close all 143 retail locations, headquarters and two distribution centers on Nov. 27—an implicit attack on rampant consumerism at the expense of nature and the experience of the outdoors. The retailer will pay its employees that day, and is encouraging the public at large to join the movement by using the #OptOutside hashtag and taking time outside "to reconnect with family and friends this Thanksgiving holiday." Here are two videos heralding the campaign, one of which stars Jerry Stritzke, the president and CEO of REI, whose office appears to have quite the pleasant view. The truth behind any campaign like this, of course—and Patagonia did something similar with its "Don't buy this jacket" campaign in 2011—is that REI wants its stance, however altruistic, to end up selling more stuff. But REI spokesman Alex Thompson said that in this case, the business strategy and the anti-consumerist message dovetail. "The business strategy for REI has getting people outdoors at its core, and this is first and foremost about presenting the benefits of life outdoors and inviting people to experience it at an important time of year," Thompson said. A new website, optoutside.rei.com, features recommended hiking trails, many built and nurtured by nonprofits supported by the $2.2 billion retailer. 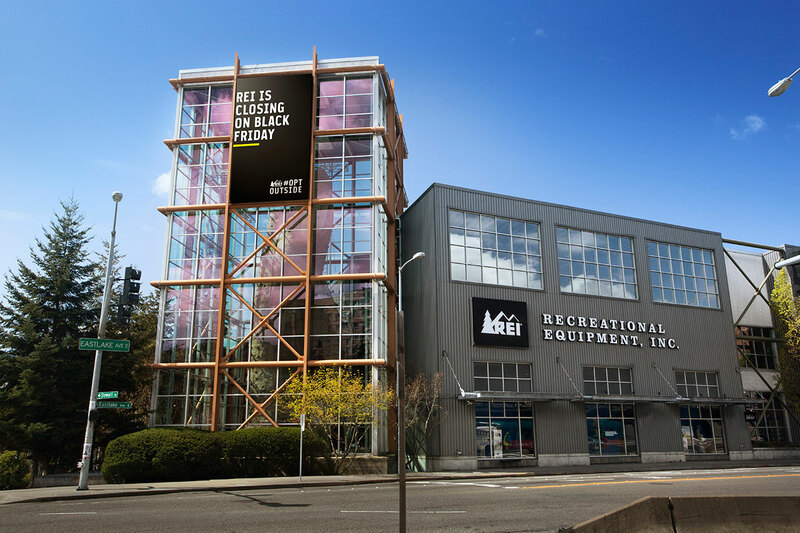 On Black Friday itself, REI.com will feature a black takeover screen that encourages visitors to #OptOutside. "Black Friday is the perfect time to remind ourselves of the essential truth that life is richer, more connected and complete when you choose to spend it outside," Stritzke said in a statement. "We're closing our doors, paying our employees to get out there, and inviting America to OptOutside with us because we love great gear, but we are even more passionate about the experiences it unlocks." In a letter addressed to its 5.5 million members (REI is a member-owned co-op), Stritzke quoted outdoor visionary John Muir, who said in 1901: "Thousands of tired, nerve-shaken, overcivilized people are beginning to find out that going to the mountains is going home." Stritzke added: "As a member-owned co-op, our definition of success goes beyond money. We believe that a life lived outdoors is a life well lived and we aspire to be stewards of our great outdoors. We think that Black Friday has gotten out of hand and so we are choosing to invest in helping people get outside with loved ones this holiday season, over spending it in the aisles. Please join us and inspire us with your experiences. We hope to engage millions of Americans and galvanize the outdoor community to get outside."